Do you want to play the most up to date videos games? Do you want to feel like you're in a movie theater while watching films from the comfort of your living room or home theater? Or do you just want the best picture possible when you're keeping up with your favorite TV Shows? You know as well as we do, if you want to experience any of these things in 2019, you need the best TV possible. There are a lot of elements that make up a great TV these days, and a couple of them are absolutely essential. You're going to want to go for a 4K system, and you're probably going to want a nice big screen too. 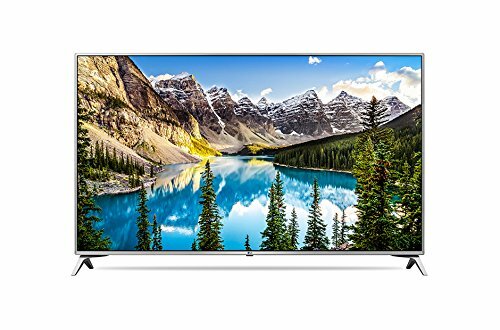 Does a 65 inch TV sound good? Sounds good to us too. Want a smaller screen? Check out these amazing 60 inch TVs! Or even these top rated 55inch 4K TVs. Excellent picture with Premium UHD. A total of four HDMI ports. Premium UHD makes for a great picture. HDR Extreme and Triple Black technology. A Motion Rate of 240. 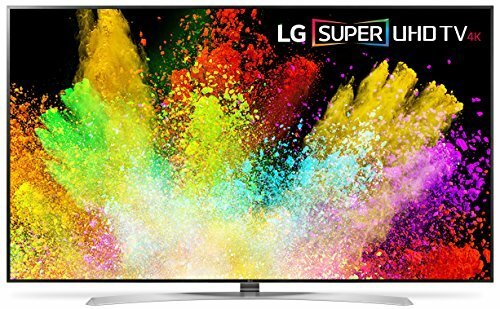 Our Top Pick is this fantastic LG 65inch smart 4K TV. Everything that could possibly want out of a 4K TV is featured in this model. All of the positive stuff we talked about, it's exactly what you need to fully experience everything you want to watch or play. It of course has Premium Ultra-HD which is a staple of 4K HDR TV. 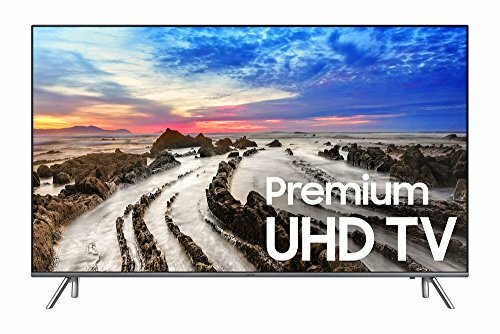 UHD is already a level above standard HD TVs but Premium UHD is an even more impressive resolution that's available with the best of the best televisions. There's an LED screen and this model has HDR10 as opposed to Dolby Vision which as we talked about before, is still a very strong system. It actually takes HDR to another level and has an even more advanced technology known as Active HDR. What this basically does is optimize the color focus depending on what's actually on the screen. So the HDR technology will be constantly adapting to suit the specific picture that you're seeing. It's really the absolute best version of HDR on the market. In addition to that, it has a particular kind of smart compatibility that's exclusive to LG. It's a system known as WEBOS which has a live home menu that makes it very easy to switch from app to app. + Excellent picture with Premium UHD. + Smart features, including WEBOS. + A total of four HDMI ports. Why We Liked It - It is the best 65inch 4K TV available. If you choose this model it will not disappoint in any category and it's not hugely expensive either. If you're looking to save more money and think these TV's may be too big for you, you can check out our review on the top 40 inch TV's. 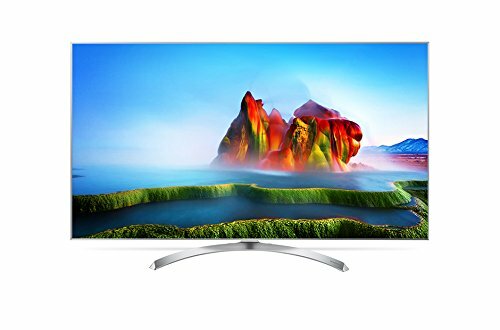 Samsung is one of the leading brands in 4K televisions and with products like this it's easy to see why. This is an outstanding television. It has Premium UHD, so the picture is top-notch. This 65inch 4K TV comes with HDR Extreme which is essentially the equivalent of HDR10. A specific feature of that is something called Triple Black technology. This is what's going to make the dark scenes as clear as possible, allowing for you to pick up on those details that you would otherwise miss. Motion Rate is 240, so that's the best you can get and there's many different inputs and outputs including 4 HDMI ports. 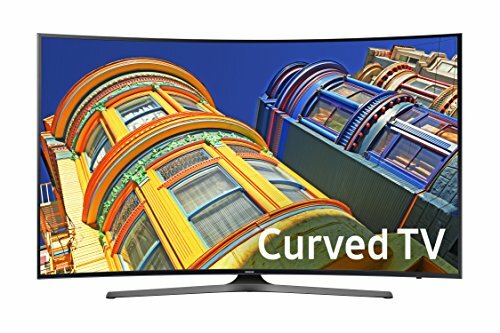 This 65inch 4K TV by Samsung also has a curved screen. This is not something that is absolutely essential, but it can enhance the depth of an image and make things more realistic. Another useful thing about this particular HDR TV is that it comes with a Samsung OneRemote which you can use to control the HDR content and everything it's connected to. + Premium UHD makes for a great picture. + HDR Extreme and Triple Black technology. + A Motion Rate of 240. Why We Liked It - In terms of the technology and overall quality of the system, this is almost on the same level as our Top Pick. It is quite a bit more expensive too, but it would still be an excellent choice. On a budget? Check out these 65" 4K Resolution TVs under 1500 bucks. Another excellent model from Samsung here. As far as the actual picture quality goes, it's not quite on the level of the last two models. This 65inch 4K TV has UHD but it doesn't have the Premium variety of it made available with the other two. It does have an LED screen though which is a big plus. And of course, it has HDR10 too so you can expect the color and contrast to be top of the range. It's also a Smart TV and much like the other Samsung model we talked about it has a curved screen. There's another feature here to compliment that curve known as Auto Depth Enhancer. This combined with the curved screen gives an absolutely stunning, immersive picture and HDR content. It's worth noting however that it's only got Motion Rate 120 and while that is probably sufficient, it is not the ideal option. + LED screen and HDR10. Why We Liked It - Overall, there is a lot of great things about this particular TV. It's not lacking significantly in picture quality and the curved screen is definitely a bonus. If you're after a real bargain, you may wish to look at smaller 4K TVs such as these 40 inch 4K TVs. This is yet another Smart TV that has all of the necessary features to make for an outstanding picture. There's Ultra HD and HDR alongside the LED screen. There's also a feature here called Local Dimming. This basically means that the brightness can be controlled in specific areas of the screen depending on what is currently in the picture. This can be particularly stunning, especially when combined with HDR10. There is plenty of inputs and outputs, a vast array encompassing HDMI, USB, RF and Mini Jack. The Motion Rate is great, it uses a system called TruMotion 240 which is basically the best that you can get. And like our Top Pick, this 65inch 4K also comes with WEBOS, so switching around through your apps will be a breeze. + Smart compatibility with LG's popular WEBOS system. + An LED Screen that's enhanced by Local Dimming. + Perfect Motion Rate of 240. Why We Liked It - Though the price may be alarmingly high, there's really nothing about this model that we can find to complain about compared to cheap TVs. Excellent picture and a smart system that's second-to-none. 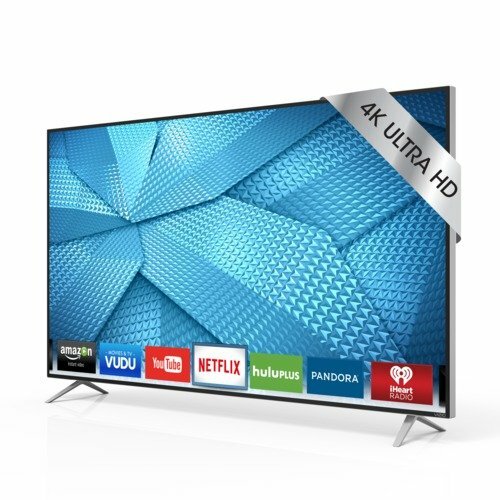 If you are looking for a budget TV feel free to check out these great TVs under 500 bucks. Want to stick with 65"? Try this review of the top 65inch TVs under 1000 bucks, or these top 65inch televisions under $1500. It should come as no surprise that there is yet another Samsung product on our list. The amount of great 4K TVs they have is a little bit astounding. Once again there's a lot of awesome features here. As you've probably come to expect, it does have UHD resolution. Not premium like some of the others but the picture quality is definitely up-to-scratch. 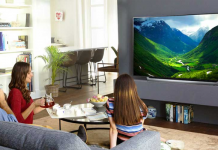 Allthough this 65inch 4K is not a HDR TV, this model does have a feature called PurColor, which is like HDR in the sense that it prioritizes the colors depending on the peak brightness of the screen. So while HDR is generally the preferable choice, PurColor does get the job done quite nicely. This TV is also curved and it has Auto Depth Enhancer too. So what it may lack in the HDR department, it does make up for in other useful features that aid in giving you the most full, detailed picture possible. It is a Smart TV and it has many different inputs and outputs. 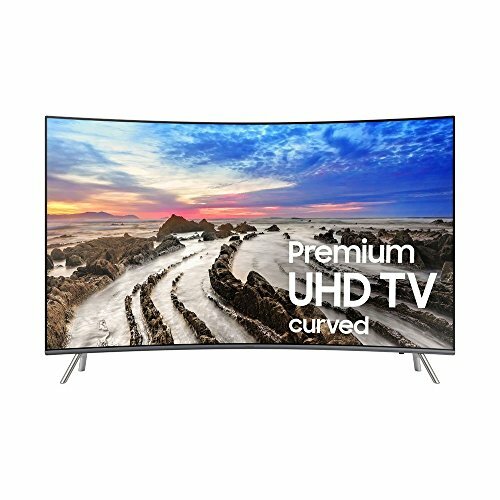 There's also a Smart Remote Control that comes with the curved TV which gives you a lot of control over the system and actually has a microphone to allow for voice control. + Rare but effective PurColor system. + Auto Depth Enhancer on top of the curved screen for maximum immersion. + A Smart Remote Control which is useful in a variety of ways. 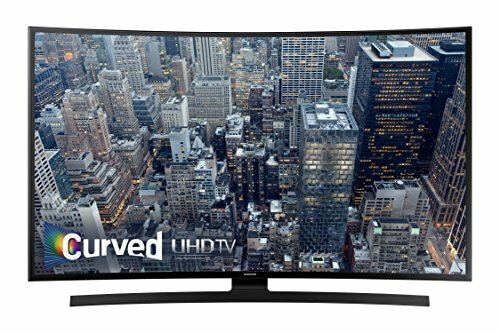 Why We Liked It - While it might not be quite on the level as the other curved TVs to buy on Amazon, there's still a lot of great stuff in this one. Especially for a TV that lacks the all-important HDR that we won't shut up about. Samsung yet again here with another great 65inch 4K. This has incredible contrast ratio alongside enhanced color and depth, thanks to the fact that it's Premium UHD. It's got HDR and one of its more effective features is something called Color Drive Extreme. This is a similar feature to the PurColor and it makes both primary and secondary shades pop and appear much more lifelike. The Triple Black technology is also featured in this one for this darker scenes. There's a vast array of inputs and outputs with plenty of HDMI ports. This TV also comes with the Samsung OneRemote and for those more fast-paced scenes, the Motion Rate is a sturdy 240. It's a Smart TV and it's got Upscaling technology too so if you're watching a classic movie or playing an older game you can expect it to look a whole lot better than it did back in the day. + Absolutely beautiful picture thanks to Premium UHD and Color Drive Extreme. + Triple Black technology brings out the life in dark scenes. + A Samsung OneRemote and a whole bunch of inputs and outputs. 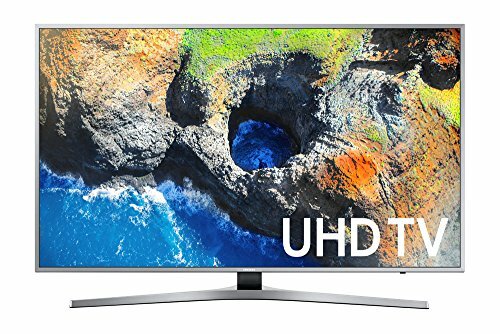 Why We Liked It - There are better 4k Ultra HD TVs to buy, there's better Samsung 4K TVs too but this still has an excellent picture and some very useful features so it's worth considering. The first thing that we should probably say about this particular 65inch 4K TV, is that from a technical perspective, it blows everything else on this list out of the water. But as you can see it's not our Top Pick. In fact, it's not even in the top 5, and the reason for that is because it's almost twice as expensive as the next most expensive product on the list. 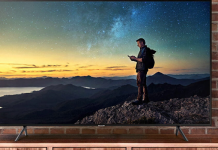 We don't think it's really that necessary to shell out such a massive amount of money on this when other TVs will give you a more than satisfactory experience. Having said that, let's look at some of these crazy features. SUHD, which is an even higher resolution than Premium UHD. 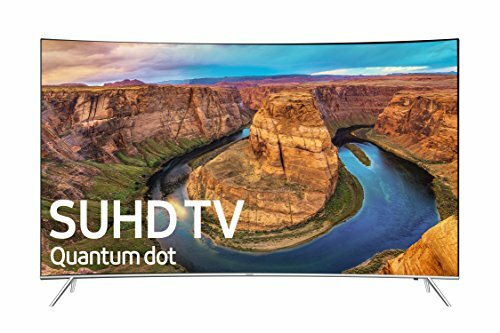 HDR 1000 which is the best HDR product available with an outstanding color technology known as Quantum Dot. It's also got Motion Rate 240 and smart compatibility but those are a given for a TV this powerful. + Incredible picture and resolution thanks to SUHD and HDR 1000. + Quantum Dot Color Drive and Triple Black Technology. Why We Liked It - Because it's a revolutionary television and technological marvel. But we really don't see much justification for spending this much money when other, less expensive TVs to buy on Amazon will get the job done. But that's entirely your call at the end of the day. This is exactly the type of product that you would expect from an LG TV. All of the important features are here. UHD, HDR, LED screen, probably quite a few other acronyms that I could mention. 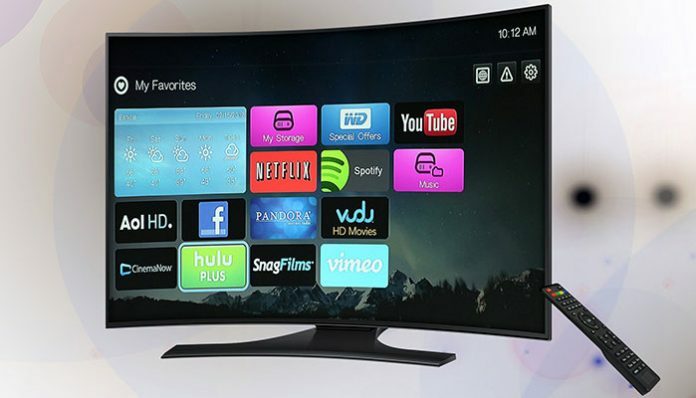 You can also always rely on LG TVs to give you the best Smart technology available with WEBOS. This one comes with the most up-to-date version of that in WEBOS 3.5. Also shipped with this product is a Magic Remote Control. Similar to the remotes that come with the Samsung TVs, this will control the 65inch 4K TV and any other device that you've got connected to it. + Excellent picture with UHD and HDR. + An LED screen makes the contrast ratio near-perfect. + The most advanced version of LG's popular WEBOS technology. + A handy Magic Remote control. 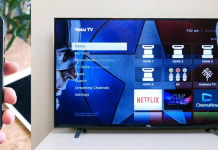 Why We Liked It - Like all LG TVs, this is just a very reliable, very efficient product that will serve its purpose no matter what you want to use it for. With it being the second to last product to appear on our top 10 list, you probably won't be too surprised by the fact that this isn't one of the better TVs we're going to be talking about here. It's a step down from the editors choice at the top, but it's not a bad TV by any means. This still has UHD and it's also HDR with ColorDrive Pro so the picture doesn't suffer too much. It is a Smart TV and comes with the OneRemote so that's definitely a big plus. Motion Rate is a tad bit weak, it's only 120. As we've probably mentioned a few times by now, Motion Rate 240 is the ideal system but 120 is not terrible. + HDR with ColorDrive Pro makes everything bright and realistic. + Every app is easily accessible with the Samsung OneRemote. + Several HDMI and USB ports. Why We Liked It - Although it's on the weaker end of the spectrum, it is still a Smart TV with an excellent picture at the end of the day. And it's on the more affordable side too. Even though this comes in at the bottom of our list, it's still a pretty great TV overall. 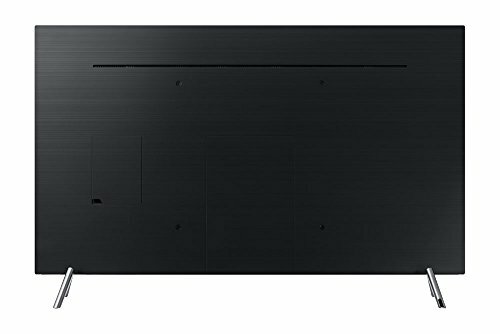 In fact, there's a lot of features in this VIZIO TV that set it above some of the Samsung and LG TVs to buy here on a technical level. It's got a Full-Array LED screen and it's UHD too. It has a feature called Active Pixel Tuning, which allows for specific color optimization depending on what's on screen. It does actually have a great Motion Rate too. It's 240 and has a system called Clear Action 720, which is not found in any of the other products on this list. Having said all that, it's not HDR and there are some customers who have complained about a less than durable screen. It's all well and good having a great picture, but it's worth nothing if it's going to stop working after a year. That's rings especially true for a TV as pricey as this one. See more 65" 4K TVs under 2000 dollars. + High Motion Rate with Clear Action 720. Why We Liked It - It has a lot of great, unique features to look out for, which may make up for the absence of HDR in some people's eyes. It also has more HDMI ports than any other TV on this list with a whopping 5. So since we're settled on 65inch and 4K, let's talk about those other important elements we mentioned. And keep in mind, these are the things that you will personally have to think about when you're deciding on a TV. You might not have the same preferences as some other people. It could come down to what you specifically want to use the TV for, or how much you're willing to spend. But regardless, these are the factors you need to consider. High Dynamic Range is a much talked about feature these days, that is most commonly abbreviated to HDR. You will find this technology in most of the best 4K TVs. Once you've experienced it you'll probably never want to go back to a TV that doesn't have it. What is actually does, is increase the range of brightness levels that your TV is capable of displaying. Essentially, the resolution will be equally strong when the picture is made up of dark imagery as when it's made up of bright imagery. This is a very significant improvement on non-HDR televisions. In 2019 it's especially important for a 65inch 4K TV to have this feature if you want the full experience of whatever content you are consuming. For movies and tv, production technology has come a long, long way since the earliest moving cameras were invented. The most advanced cameras are being used now to bring you as detailed and realistic an image as possible. If you don't have an HDR TV, the screen is not going to be capable of effectively conveying these images. When you're in a movie theater it's fine of course. Cinema screens are up to the task, but you want to be able to fully immerse yourself in a film when you're in your home theater too. Dark scenes will be pixelated, blurry and you will miss the finer details that modern cameras have the ability to pick up. And this is even more applicable to gaming. Much like what we said about film cameras, the gaming industry has made some pretty huge strides too. The image quality of today's games is almost on the level of CGI-animated films and the same logic applies. Even the darkest scenes are packed with details that a non-HDR TV screen will fail to pick up. You'll especially want this for a game that has a rich environment which is loaded with all sorts of nooks and crannies for the gamer to explore. HDR display technology comes in two different forms. We've got HDR10 and Dolby Vision. The latter of which is generally superior and you won't find it outside the most expensive TVs. The difference isn't so huge that we would say Dolby Vision is essential. HDR10 will still get the job done just fine and if you're using the 4K TV for gaming exclusively, then Dolby Vision isn't worth your money. The current generation consoles all use HDR10 as their output. Like all of the other factors that we're going to talk about, whether you want to get a TV with HDR built into it or not is up to you and your preferences. It is the recommended choice however, especially if you want to experience games,movies and TV to their full potential. Motion Rate might not be something that you've ever given much thought to before. In fact, you may have never even heard the term. What we're talking about when we refer to Motion Rate, is the response time and the refresh rate of the images on a screen. Essentially, the speed at which the picture reacts to motion on-screen. Lower Motion Rate is not something that you're really going to notice unless there is a particularly fast-paced scene going on. If the on-screen content is relatively subdued, a low Motion Rate or motion handling is probably not going to cause any visual problems. But when the scenes start to speed up, which is bound to happen regardless of what you're watching, that's when the cracks start to show. Most of these 4K TVs will at the very least have a Motion Rate of 120, with the best models having Motion Rate 240. You should almost definitely avoid any TV that has less than either of these. Even Motion Rate 120 can get a bit frustrating to watch at times. If you're watching a film that has a large-scale, epic battle sequence with weapons and bodies flying everywhere, you don't want that to get blurry and choppy. This is the type of problem that insufficient Motion Rate will cause for you. Much like what we talked about with HDR, cameras are more capable now and are better at maintaining clarity when filming something high-speed. Watch any modern action movie as a good example of this. Car chases look crisp, gunfights are smooth and clear, every action scene looks outstanding. Provided that the Motion Rate is up to scratch. If you're using the TV for gaming, we would argue that this is even more important. Sure there are some games that are slow and quiet, but for the most part, video games rely heavily on fast-paced, high-intensity action. Having 4K and HDR in your TV is going to make everything so realistic and immersive, don't let that experienced be ruined for you because of Motion Rate. It's a very avoidable problem. So this is also definitely something that you need to keep an eye on when you're making your decision. Much like an HDR TV, whether or not you choose a TV with a higher Motion Rate will come down to you and what exactly you want to get out of your 4K TV. Unlike smartphones, we wouldn't exactly say that Smart TVs have become the norm, but it's definitely getting to that stage. The benefits of a TV with smart compatibility are pretty much endless. Firstly, it will be connected. You can access Netflix, YouTube, Hulu or pretty much any TV streaming service straight from the 65inch 4K TV itself. You'll have access to an App Store and the sheer amount of different services that you can download onto a Smart TV is mind-blowing. There is a much larger variety of TV streaming services than people realize, there's one for pretty much any niche you can think of. You can get exclusive games, news services, there's content for kids and radio stations. A lot of this is free on Smart 4K TVs too and it's all available at the click of a button. You could even use your TV as a Web Browser if you wanted to. And then, of course, there's casting. This is a term that you've probably heard before, it's basically the process of connecting your phone or your computer to the TV. You can, for example, send a video that you have saved on your phone to the TV and watch it on that screen. Of course, this is possible on a non-Smart TV if you have a specific casting device, but having it built into the TV itself is an extremely useful feature. Those are just some of the great things you can expect out of a Smart 4K TV and I guess a potential negative to it all is that it's likely to cost a bit more. But if you're going to get a 4K TV anyway, getting one with smart features and compatibility would definitely be a worthy addition. 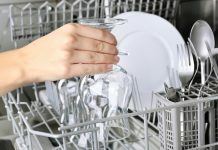 This isn't usually a huge cause for concern because most manufacturers are fully aware of the importance of having a variety of inputs and outputs but keep it in mind nonetheless. Usually, you will want to have 3 or 4 HDMI ports in a good TV. This will cover games consoles, BluRay players and the like. It would also be worth it to have several USB ports too. If you wanted to connect an external hard drive or a USB stick you'd have that covered. And then there's also the possibility that you'll want a headphone jack or even a Composite port. A lot of TVs do have these features so if it's important to you, then make sure you keep an eye out for them. As you can see, when you're picking a 65inch 4K Ultra HD TV, there are quite a few excellent products to choose from. The decision for you is ultimately going to come down to your personal preferences and what you specifically want to get out of the product. You should consider each of the factors that we talked about earlier and decide which, if any, of those elements, are essential to you. That should narrow things down a bit for you. Also, think about the importance of each individual category. Consider which elements take precedence over the others and if there's anything that you can do without having. And of course, you will have to factor in your own personal budget. If this is of interest, you might like these amazing 65-inch 4K TVs for under 1000 dollars. A large, high definition TV is an investment. And it is definitely something that you don't want to regret buying. So before you commit to anything, make sure you know exactly what you want and which product suits your preferences the most. If you want the images on-screen to be realistic, avoid peak brightness settings such as 'display technology' and 'vibrant'. Instead, select either 'cinematic' or 'movie' from the menu to give the best possible picture for your home theater. THX recommends a viewing angle of 40-degrees meaning that the center of a large TV should line up with your eyeballs. So it's probably not the best idea to mount a 65inch 4K TV too high on the wall.